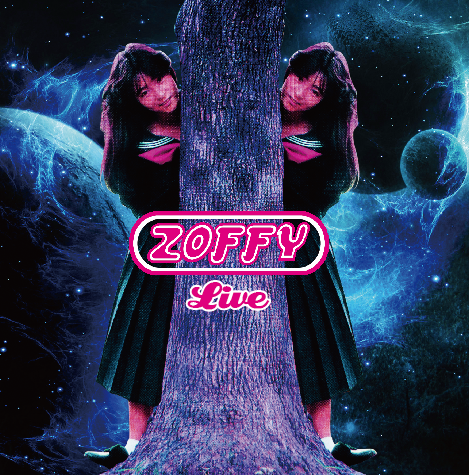 トップページ > AMT LABEL CATALOG > AMT LABEL NEWS > Zoffy Live! Tokuzo (Nagoya) on 11th Jun & 26th Aug, 1999, 8th Jul, 2002, Bears (Osaka) on 28th Apr, 2000, Kuku (Nagoya) on 29th Apr, 1998, Hard Rain (Osaka) on 12th May, 2003. Special thanks to Ruins (Yoshida Tatsuya & Sasaki Hisashi), Audrey Ginestet, Jade Moon, Franck Stofer, Jerome Genin, Mey Marylene, Leonetti Xavier, Owun, Koizumi Hajime, Kato Sae. Original CDR (AMCD-017 : limited 100) was released from Acid Mothers Temple label on Jun. 2000.
it was reissued on CD from Tsuyama’s Disk Omeko in 2005.Tracks 16 to 18 did not appear on the original release.